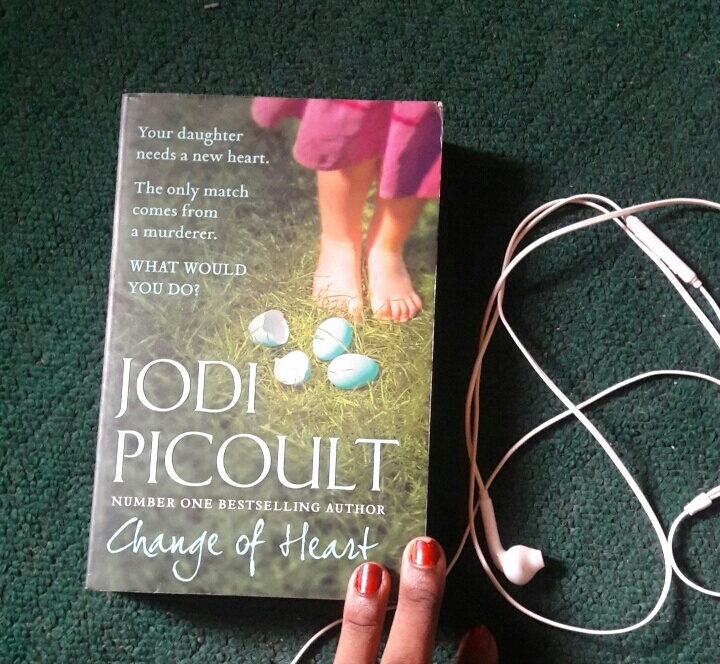 Change of Heart by Jodi Picoult ; Of Gnosticism, Capital Punishment and the Heaven Within. – That Girl Dorian. June Nealon has lost her second husband and her 7 year old daughter to a supposedly cold blood murder coated with a sprinkle of sexual abuse. And now, eleven years later, she has another daughter who has heart failure on her hands. has been performing Jesus-like miracles in prison. When I first started this book, I didn’t know what to expect. As someone who was in a bad reading slump, it took me a while to pick this book up but I wish I’d picked it up sooner. God! This was one hellaf a book. 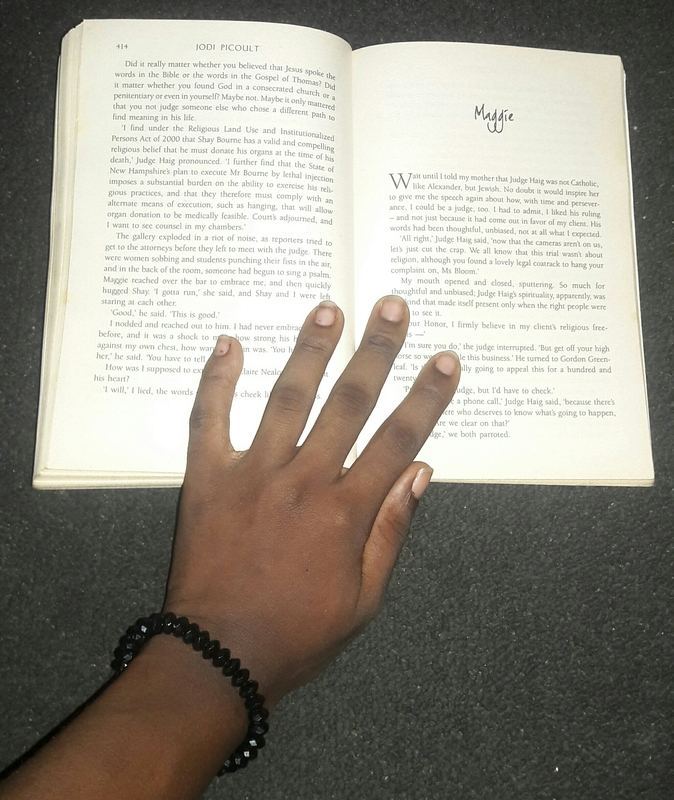 The story sucked me in right from the first page and there were many times I’d close the book,close my eyes and think for minutes. The story is told from the POVs of the major characters. There’s Michael, a young Catholic priest who was on the jury that sentenced Shay Bourne to death, a sentence that hasn’t been passed in 58 years in New Hampshire. There is also Luscious, a former art professor who is in jail for killing his boyfriend. (Yeah. It’s exactly what you think). There is also Maggie, a badass pro-bono human rights lawyer who is not on the slim side and June, bereaved mom who’s battling to save her only child who is down with a heart failure. Change of Heart discussed a lot of things. The first one that hit me in the face was the topic of Gnostic Christianity, based on the Gospels of Thomas and later Judas that believes in self-divinity of a sort. This Gospel preaches that before you can know God, you have to know yourself first. I marvelled at the way the writer did a lowkey comparison of Shay to Jesus. I mean, Shayne turned tap water to wine, healed Luscious of HIV, woke a dead bird and even raised a dead officer from the dead?? This book has made me rethink a lot about doctrines and Christian principles. “Luscious : Well, if there was a heaven, I bet it’s full of dandelions. Shay : Heaven is not a place. Luscious : Then where is it? Shay : It is inside you and outside too. Luscious : If this is heaven, I’ll take a rain check. Another thing I adored about the book is how it shows that forgiveness is necessary for the human soul. It seeks to assert that indeed, goodness can certainly come from evil. Then, there’s the issue of capital punishment. What purpose does it serve? This book asks us, each and every one of us : does killing or executing people we deem unfit for society makes us closer or pulls us apart? This book is way different from anything I’ve read. The characters are beautifully flawed and realistic. I did feel drained a bit after I finished the book and I miss Shay, but I loved this book. You will, as well. Favourite Character : definitely Maggie. She stood up for what she believed in and was so feisty. I really admire her. Something about this woman makes me want to be a better law student. And yeah, she’s overweight and didn’t let that get her down. Previous Tiny Seeds of Society. Next This or That Book Tag. Someday. I will read this book. Ah, I love your review! In mine, I just kinda rambled about all the great quotes, haha.